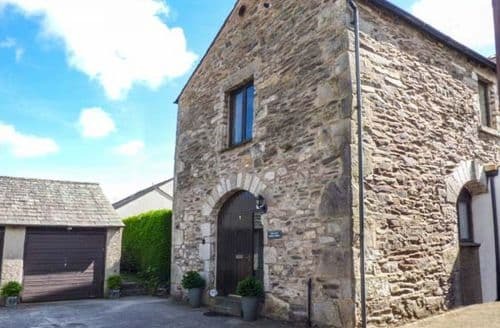 What our customers are saying about our Holiday Cottages In Lindale To Rent. 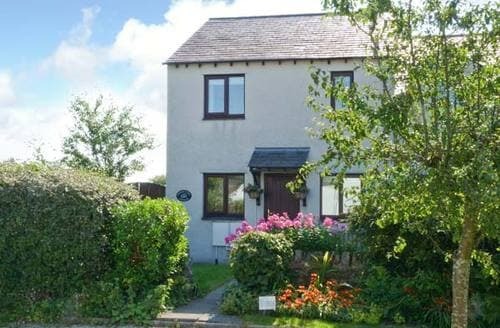 "We recently enjoyed a lovely stay at S44193 Cumbria the owners stay near by & they are lovely very helpful. I shared the cottage with nine people in total including myself & husband & close friends. It was a lovely cottage with great facilities including wfi that worked in all the rooms. We all enjoyed our own space even though there was nine people you never felt overcrowded. 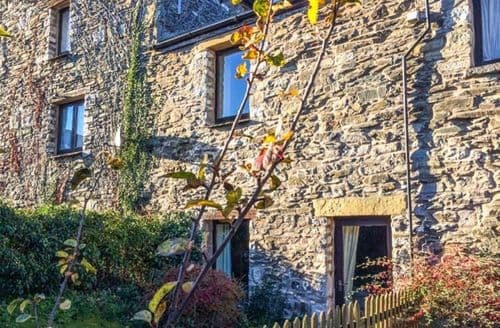 We would definitely recommend this cottage as a great place to stay & also a good place to tour about the lakes & Cumbria there is a local train station in the village of Lindale where we stayed & you can see the train to get around -if you don’t feel like driving. We also. Enjoyed a lovely meal at the local pub the Royal Oak again you could walk to the pub no need to drive, I would definitely recommend this cottage & would be happy to visit it again. I would also be happy to use Sykes cottages again as they also made sure that everything went as planned. Catherine McAteer"
"I shared the cottage with nine people in total including myself & husband & close friends. It was a lovely cottage with great facilities including wfi that worked in all the rooms. We all enjoyed our own space even though there was nine people you never felt overcrowded. 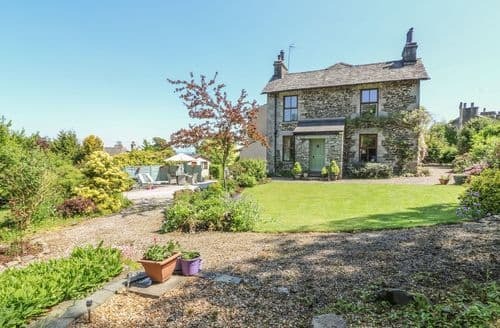 We would definitely recommend this cottage as a great place to stay & also a good place to tour about the lakes & Cumbria there is a local train station in the village of Lindale where we stayed & you can see the train to get around -if you don’t feel like driving. We also. Enjoyed a lovely meal at the local pub the Royal Oak again you could walk to the pub no need to drive, I would definitely recommend this cottage & would be happy to visit it again. I would also be happy to use Sykes cottages again as they also made sure that everything went as planned. 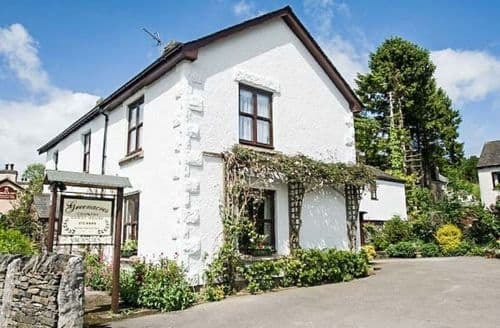 Catherine McAteer"
"Great cottage, friendly owners, good location and overall a very good base for our holidays and amenities within travelling distance. Only improvements we could envisage would be a sitting/table facility in the kitchen or at least a stool to perch on! Also a waste bin for recycling in the kitchen as well as general waste would assist. Also, all dining cutlery was kept in the dining room and some could do with being kept in the kitchen i.e. not even a tea spoon in the kitchen. However, these were all only minor points, easily rectified and overall we thank you for an excellent stay and wish the owners every success with their new venture. Thank you." "The cottage was really lovely - a home away from home - but it would be even better with some WiFi. The cottage is actually situated in the far corner of the building complex, so isn’t near to the stream, which runs past the main buildings, as shown in the pictures but don’t let that put you off. It’s peaceful (with only the jackdaws, birds and bats for company) and cosy. Lindale is a lovely little village, very well situated for visiting all over the Lake District. Grange over Sands is only a 5 minute drive away, where there are plenty of shops (including a car park which is only 20p for half an hour!)." 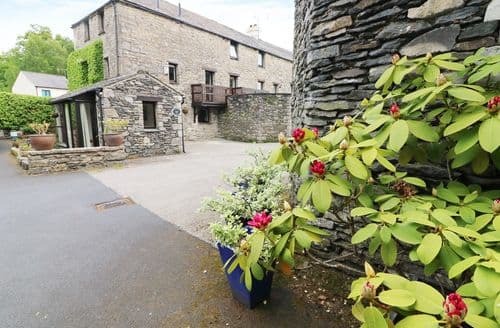 "The cottage is actually situated in the far corner of the building complex, so isn’t near to the stream, which runs past the main buildings, as shown in the pictures but don’t let that put you off. It’s peaceful (with only the jackdaws, birds and bats for company) and cosy. Lindale is a lovely little village, very well situated for visiting all over the Lake District. Grange over Sands is only a 5 minute drive away, where there are plenty of shops (including a car park which is only 20p for half an hour!)."